Officials in many communities across California and the Nation have implemented bans on the distribution of plastic carryout bags at selected retailers including a fee on paper bags. 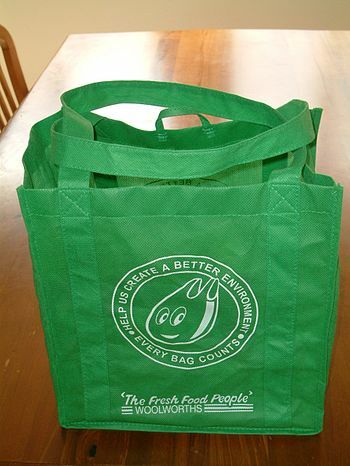 The fee on paper bags is imposed for no other reason than to coerce shoppers to switch to using reusable bags. The reason most often given by these officials is the litter and aesthetic problem posed by plastic carryout bags and the harm caused to marine and terrestrial environments including wildlife. These officials, have unfortunately, succumbed to political correctness and the self-interest of being seen as “green” and supportive of the environment. However, instead of due diligence to carefully evaluate alternative solutions, officials adopt the same populist prescription implemented by other communities. Although Bag Ban Proponents are passionate about their zeal to protect the environment, their ideas are generally disconnected from reality and their solutions don’t work and are unrealistic. Nowhere is this more aptly illustrated than in the communities of San Jose and Santa Monica where bag usage surveys reveal that shoppers opt for paper bags or no bags over reusable bags by a ratio of two-to-one. In other words, the majority of shoppers reject using reusable bags. Because officials do not carefully evaluate the litter impact of plastic carryout bags compared to the impact that a plastic bag ban will have on their citizens, officials have unwittingly traded one problem for another. In other words, the bag ban doesn’t really solve a problem, it only shifts the problem from one area to another. What is worse, a plastic bag litter problem which has no impact in your personal life, now after a bag ban presents a series of challenges, in your face, each and every time you go shopping. Be sure to follow my blog by clicking on the Follow button and entering your email address to keep you informed about future posts. I have been forwarding your emails to the city council. They may get it from you, I don’t know, but they are now getting it from me too.